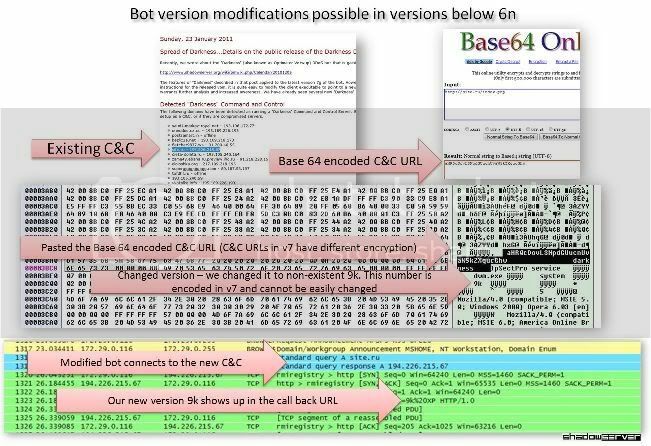 Since the last post about the Darkness DDoS bot, there have been some questions and uncertainty about the versions of this bot and the latest version available. 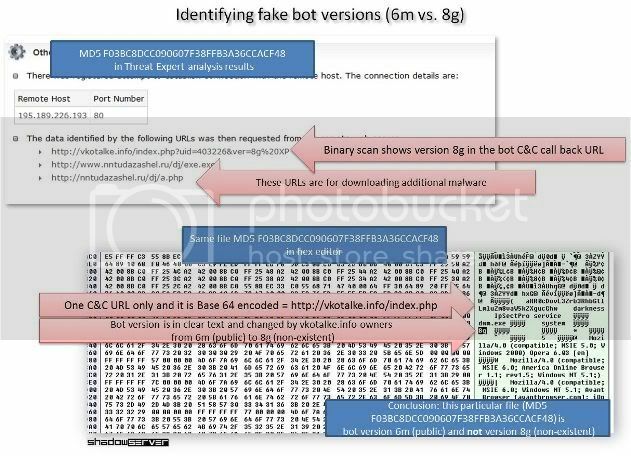 Understanding the different versions of the bot allows for easier identification of the malware during its analysis. We want to provide an update to these past posts and provide additional information about the current and previous versions of the Darkness DDos bot. Mila Parkour of Contagio did some research as to the various versions of Darkness, and created the following timeline. This timeline shows the evolution of the bot along with non-official releases and notes on code changes. Current version is now v.8a which was released on February 4, 2011. The price of Version 8 is $350 USD, and the update from v.7 to v.8a is $85 USD. Support for modules that will be added in the future. Feb 04, 2011 - 8a official released - Many code changes and fixes, including new encryption algorithm, random file and process names, and better browser emulation. 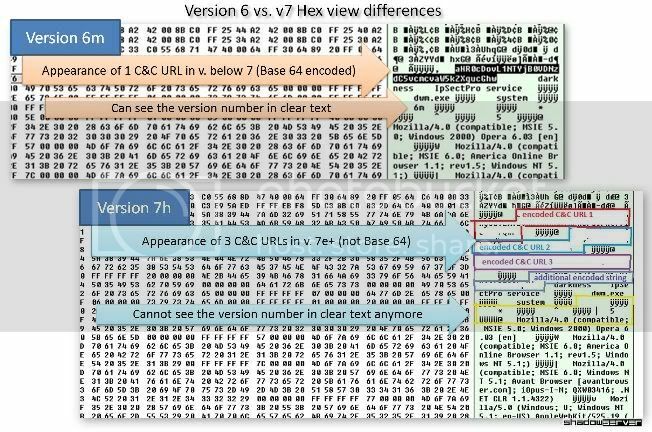 Jan 24, 2011 - 7i official - released and recalled because version 7g was cracked - as it uses same algorithm. Oct 27, 2010 - 7e official released - 1. Support of 3 C&C URLS 2. The version number is now encrypted in the same way as URLs (not Base64). The following screenshot shows how the public version number can be modified. The following screenshot shows the easy to spot differences between older and newer versions. The following screenshot a packet capture of v6 vs. v7 where v7 allows for the utilization of 3 domains for Command and Control. Once again, I want to thank Mila Parkour of Contagio for her excellent analysis and research assistance.